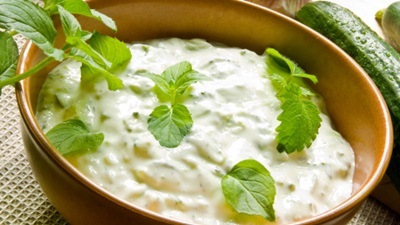 Instead of full fat, indulgent dips, try tzaziki for a lighter, yet still creamy choice. Whether vegetables, crackers, or pita are your dippers of choice, it may be difficult to remember this is actually healthy and full of protein. Combine all ingredients in a food processor, or by hand, and enjoy!